I am pleased to be part of the TLC Book Tour for Next to Love by Ellen Feldman which is going to be released in hardcover at the end of the month. I am even more excited that I can offer a copy for giveaway! Set in a small town in Massachusetts, the novel follows three childhood friends, Babe, Millie, and Grace, whose lives are unmoored when their men are called to duty. And yet the changes that are thrust upon them move them in directions they never dreamed possible—while their husbands and boyfriends are enduring their own transformations. In the decades that follow, the three friends lose their innocence, struggle to raise their children, and find meaning and love in unexpected places. And as they change, so does America—from a country in which people know their place in the social hierarchy to a world in which feminism, the Civil Rights movement, and technological innovations present new possibilities—and uncertainties. And yet Babe, Millie, and Grace remain bonded by their past, even as their children grow up and away and a new society rises from the ashes of the war. 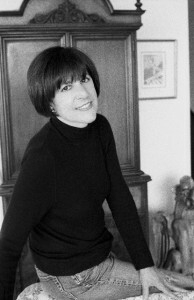 Ellen Feldman, a 2009 Guggenheim Fellow, is the author of Scottsboro , which was shortlisted for the UK’s prestigious Orange Prize, as well as The Boy Who Loved Anne Frank, which was translated into nine languages, and Lucy. In addition to writing novels, she contributes to several blogs and has lectured extensively in this country, England, and Germany. Her new novel, Next to Love, will be published July 2011. History often focuses on the stories told during epic times, but what I love about Next to Love is that it tells the story of what the home impact was during and after World War II. I love how real and relate-able these three women are. One of the things that I like most is how each character develops out of the great cultural, social and economic changes wrought by the war and how their situation - as widows, brides, single and married throughout the story. I also like that the supporting male characters also have depth and help to shape the story in a real way. This book deals with the role of women, Post Traumatic Stress Disorder, substance abuse,loss, religion and more all in a way that endears you to the characters and makes you want to continue reading even after the story is over. That said, I would love for this book to have been a trilogy - with more depth in each era and some more commentary on what else was going on in society, but as is, it is a great social commentary on a time series that is often overlooked. Disclaimer: I received an ARC of this book for the purpose of completing my review. All opinions are my own.